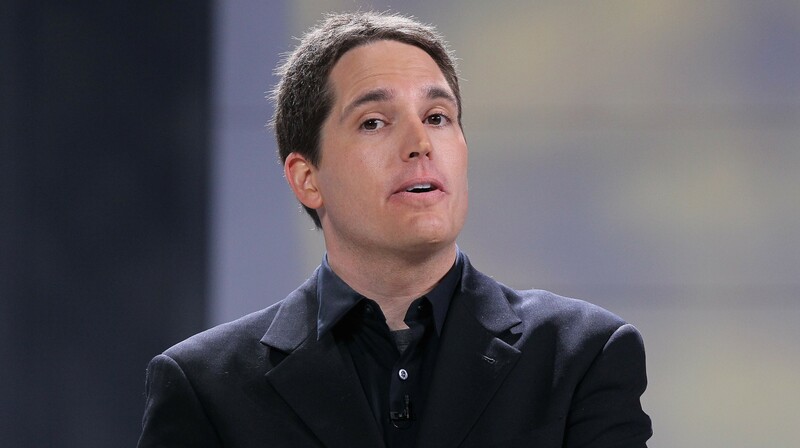 Hulu CEO Jason Kilar and CTO Rich Tom are set to depart the company in Q1, Kilar announced in an email to the company’s staff, which he made public on Hulu’s official blog. In his message, he highlighted the growth the online film and TV service has witnessed over the past few years. As we reported, Hulu had $695 million in revenues in 2012, a 65% increase compared to 2011. This is also true of its paid service, Hulu Plus, which had grown from 1 million to 1.5 million subscribers between September 2011 and January 2012 before reaching 3 million last month. Kilar has been Hulu CEO since the company’s start in 2007. As for Tom, he has also been with Hulu from day 1, and was promoted to his current CTO and senior vice president role in August 2011. Kilar’s departure had been rumored over the past few months, amid tensions with Hulu’s backers. As you may know, Hulu is a joint venture of News Corp.’s Fox, Disney-ABC, NBCUniversal, although the latter isn’t involved in Hulu’s strategy due to its own acquisition by Comcast. In addition, it was reported that Providence Equity Partners had closed a deal to sell its stake of Hulu, which means it is now controlled by News Corp. and Disney. While the exact reasons for Kilar’s and Tom’s scheduled departure are still unknown, Hulu had been increasingly venturing into exclusive programming lately, with the launch of several original and exclusively-licensed TV shows. “I’ve decided to depart Hulu in Q1. I am currently working with the Board to ensure there is ample runway to manage this transition. Rich Tom will be doing the same, with roughly the same departure date. Rich and I have been fortunate to build and innovate alongside each other these past 5+ years and our plan is to do more of that on the road ahead. It is impossible to state in words how much this team means to me, how much Hulu means to me. But I’ll do my best. For me, the journey started with a move to California and a walk into an empty office suite in early July 2007. In the weeks afterward, some brave souls that were willing to look past the many naysayers and ClownCo moniker jumped aboard and got about the business of innovating and building. Five and a half years later, thanks to the missionary work of this amazing 600+ worldwide team and courageous, prescient partners, we are fortunate to have collectively built a culture that matters, a brand that matters, a business that matters. Our convictions and our relentless pursuit of better ways have made the difference and will continue to make the difference. We have grown from a few hundred thousand in revenue in 2007 to generating almost $700 million in revenue in 2012 alone. We have created a video subscription service that is growing unusually fast, adding over 200K new subscribers in the past 7 days alone (a new record). We have proudly generated over $1 Billion for our content partners since we excitedly entered private beta in October 2007. Our video advertising service delivers world-class results and sets the pace for the industry. We have authored scores of inventions along the way. And while the above outputs are impressive and laudatory, the things that have clearly brought the most joy to my heart (and what I believe to be the most important inputs in our business) have been this team and the values and principles we hold dear. Perhaps the best way to express this is to let you in on a little routine I have followed these past 5+ years. Each day, as I enter the office lobby, I take the time to enjoy the many portraits of our team members that line the walls. From Damon gorging on a 2 foot high cold cut sandwich to Jesse showing off his sweet kicks. Portraits from Beijing to Boston and the other fine Hulu offices in between. Those portraits – along with the What Defines Hulu? document on those same walls – mean so much to me, as it is a daily and vivid reminder of how great this team is and how we bring such passion and principle to what we do. Without fail, I am reminded in those moments of reflection why we do what we do, why this work is a mission and never a job. I’ve been so fortunate to play a role in this amazing, ongoing journey. My decision to depart has been one of the toughest I’ve ever made. Though the words will fall short of the intended mark, please know how much this team means to me and how very thankful I am to be able to innovate and build alongside you each day. We have also reached out to News Corp. and will update this story accordingly.